Just like your smart phone, computer or other personal devices, your body needs to recharge every night to work to its full capacity the next day. In order to recharge properly, your body and your mind need a good night's sleep. And in order to achieve a good night's sleep, you need the right mattress. Ultimately, your connection to a healthy life involves more than a USB port. Often in today's fast-paced world, if you don't snooze, you lose. 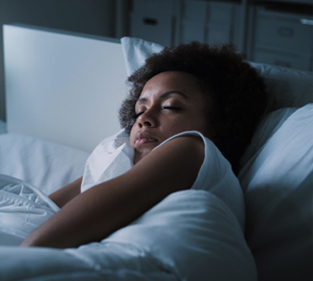 The Many Benefits of Sleep || According to numerous scientific studies, sleeping offers many health benefits, and is vital to our overall well-being. Without enough quality sleep, our mental and physical health can suffer. Sleep deprivation can do more than just put you in a bad mood. It can affect your creativity, ability to make decisions, and slow down reaction times. In addition, lack of sleep can weaken your immune system, making you more susceptible to viruses and infections. Since we spend about a third of our life sleeping, it's imperative to invest in the right mattress. Take Time to Choose || Most of us spend more time sleeping than driving, so why do we often spend more time choosing a car than a mattress? Ideally, you should do some research and determine whether you prefer inner springs, memory foam or a hybrid mattress, and try out different ones that match your body profile and how you sleep. Today's technology makes it easier than ever to get what you need by taking out the guess work. The last thing you want is to be stressed about which mattress to choose. Succeed the first time and try, try, try.